This work was perhaps the first in which Pettena clearly revealed his interest, although this could already be glimpsed in earlier works, in perception, the corrections of perspective, the creation of spaces or objects that explore the no-man’s-land between real and imaginary. 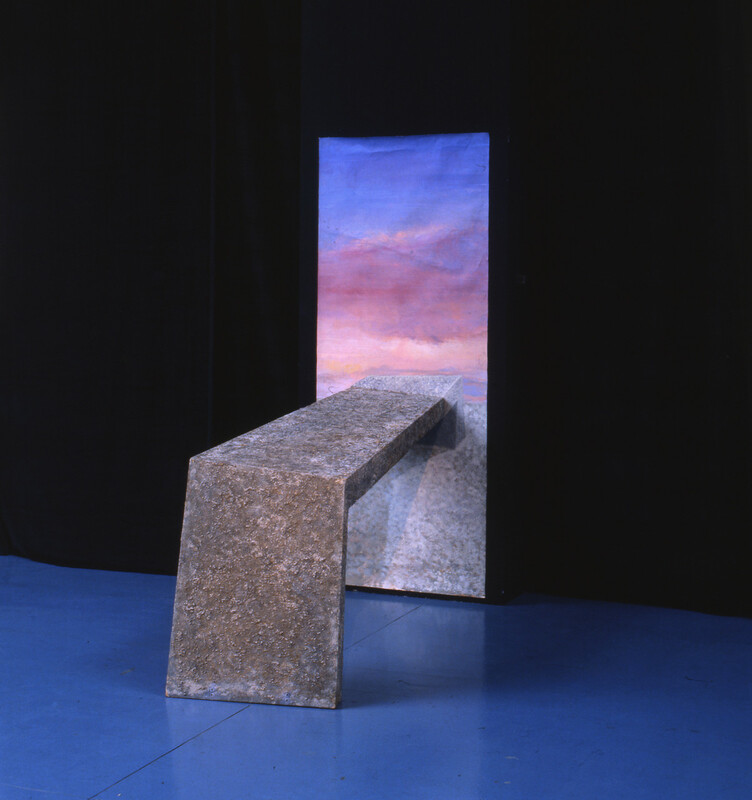 In effect the bench is at once a “real” and an illusory object, because it is painted; or on the contrary it can be seen as an imaginary object that has been made real. The motif of “superimposition” is then repeated on each of the gallery’s walls, which is in some way reflected on the one opposite, just as the inner face of the entrance is drawn in pencil on the one facing it. So everything is doubled, the representations and the superimpositions: the existing elements are matched by surfaces of response. The whole space proposes different, superimposed ways of visually interpreting the description of a physical event: reflected, the shadow of one wall is transferred onto the other; it bears its visualized signs. What has been left real, three-dimensional, itself continues in an imaginary life, or rather the episode of a story ceases to be told, and becomes, is. Opposite, a mirror picks up both things, on the same plane. 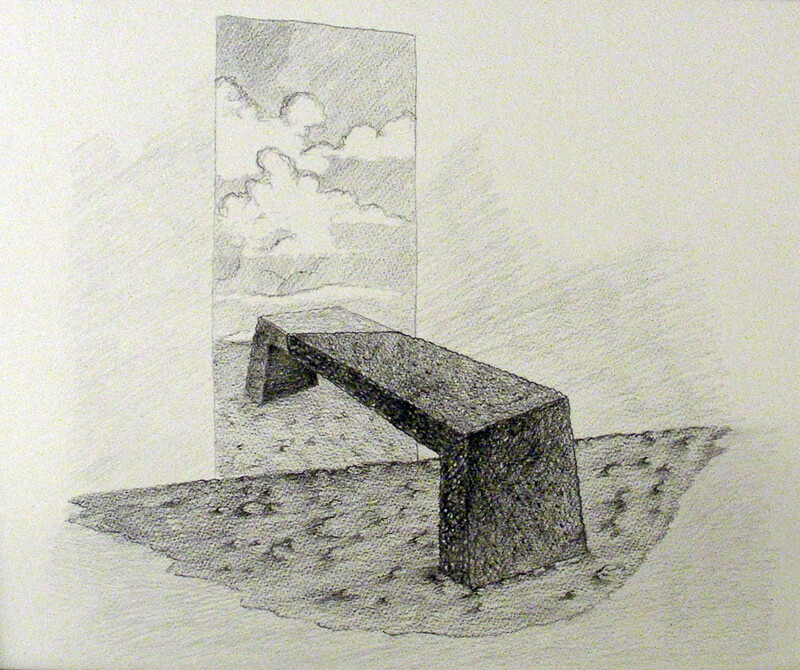 “A drawing that narrates a stone bench interrupted by a wall. 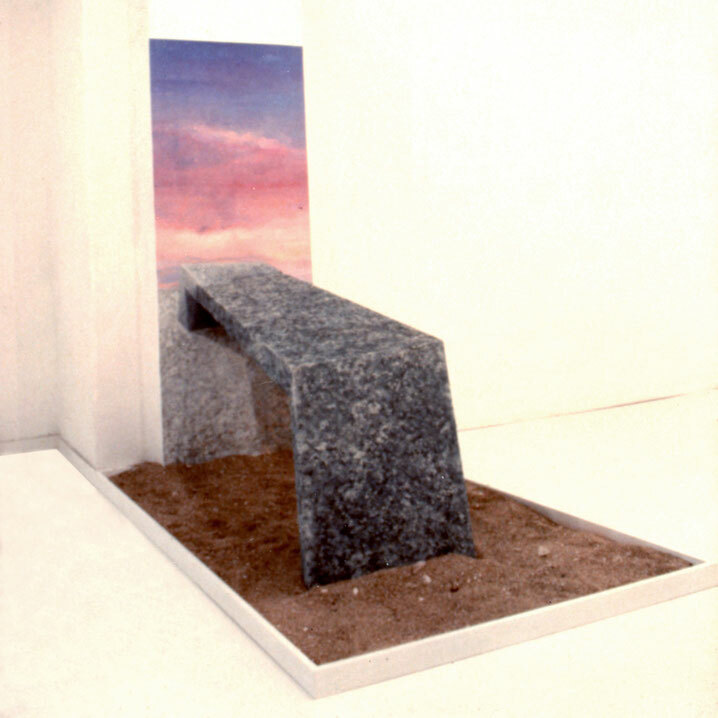 On the real bench and on the drawn bench is projected the drawn bench, which also contains a sheet that describes the bench and perhaps me too, seated on the bench” (G.P., Galleria Speciale press release, March 31, 1984).